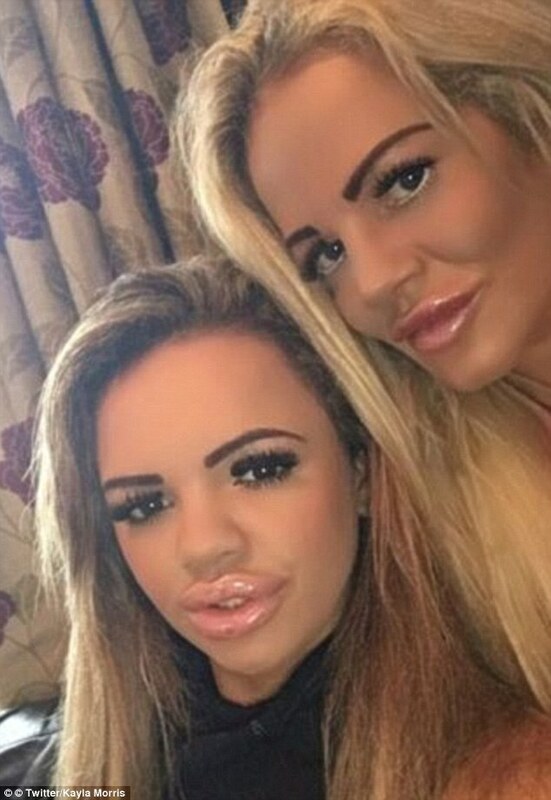 Mother and daughter who splashed £60,000 on plastic surgery are set to star in new show about mums who will stop at nothing to look hotter than their girls - BlogIT with OLIVIA!!! A plastic surgery-obsessed mum-of-four has revealed she will stop at nothing to finance her addiction - even if it means being funded by her own daughter. Georgina Clarke, 39, has had tens of thousands of pounds' worth of surgery to look just like her idol Barbie, including lip injections, cheek fillers and Botox. Her daughter, meanwhile, models herself on Katie Price and is giving her mother a run for her money with a breast enhancement, semi-permanent make-up and regular sun beds. Kayla Morris, 21, from Rugby, funds both her and her mum's procedures by stripping - and now the pair are appearing on Channel 5's new programme, My Mum's Hotter Than Me, where they will reveal the true extent of the rivalry between them.